Gantsilyo Guru: Wish Granted! Finally Making A Crocheted Bouquet! I've had so many firsts in my crochet career these past few months. Just these last few weeks though, I had crochet firsts in weddings: a crocheted bride & groom cake topper and a crocheted arrhae pouch. 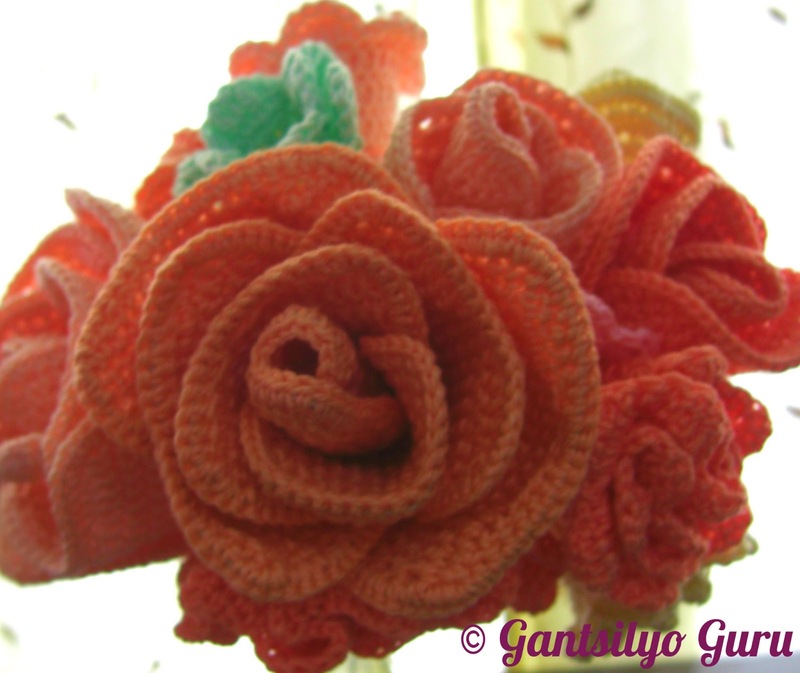 Last December, I debuted my first sample crocheted bouquet. I've been wanting to make a full-blown and legit one for a bride. Jut this month, I got commissioned to crochet one! I am super excited for this project. I like how my crocheting skills are being challenged by each client. I am grateful for the opportunity to show how great this craft is. I am grateful as well for the trust being given to me to make projects that become part of one's special day. 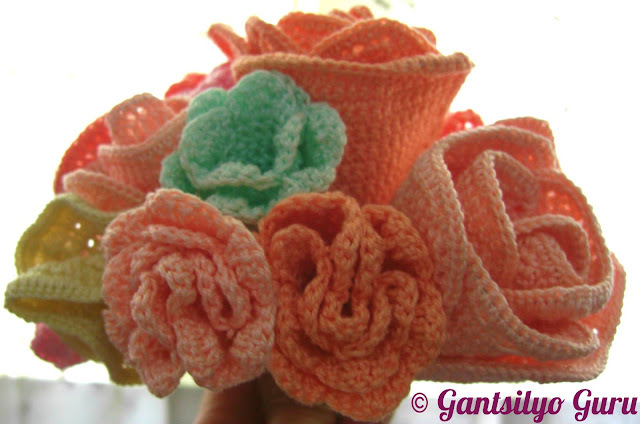 One good thing about having a crocheted bouquet is that it won't wither! You can even add your own scent to it because it's made of fiber. I also got commissioned to crochet boutonnieres for the male entourage and for the groom. This wedding will be a crochet showcase! Of course, I can only reveal the completed one after the wedding on the 1st week of May. I cannot wait!